In Asia, there are a growing number of gigantic megacities, accompanied by a series of speculative and extravagant megaprojects. Amid the fast-paced urban and development challenges, many Asian governments have been searching for replicable and inspirational cases in Asia. South Korea and its capital city, Seoul, are among frequently referenced models. However, South Korea’s "economic miracle" in the late twentieth century has been mostly studied through an economic policy lens. 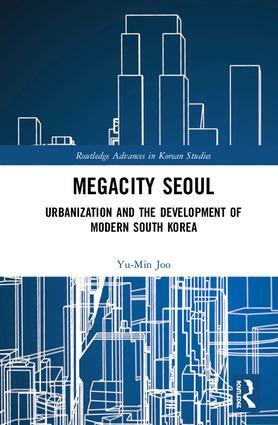 This book revisits the development of South Korea by looking at its urban dimension and exploring the city of Seoul as a developmental megaproject. Offering an alternative to the focus on economic policies when it comes to explaining South Korea’s development successes, Joo looks at the urbanization that took place under the guidance of the strong developmental state. She provides empirical evidence of the "property state" at work, both complementing and supporting the developmental state. She also analyzes why and how Seoul was able to emerge as an important Asian global city and a global front-runner in terms of ambitious and pioneering urban investments, despite its relatively recent history marked by massive slums and urban poverty. This book provides an analytical framework for studying South Korea’s modern development under capitalism as a precursor to East Asian urbanism and development. It paints a comprehensive story of how cities have been politically and economically important to Korea’s development experience and are increasingly becoming a new mode of development.